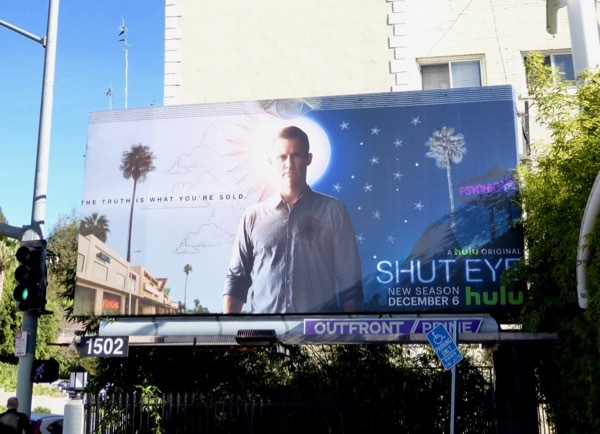 Jeffrey Donovan is back as con man 'Charlie Haverford' in the sophomore season of Shut Eye, the crime drama which goes behind the curtains of L.A.'s shady psychic parlours run by Romani families. This season he continues to have wacky visions that may be supernatural, or simply him seeing things, but his premonitions are becoming more dire. 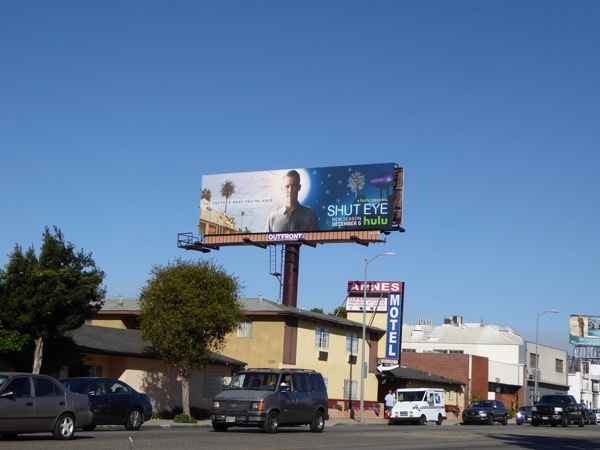 That can't be good for him or his family, including his wife 'Linda' played by KaDee Strickland. 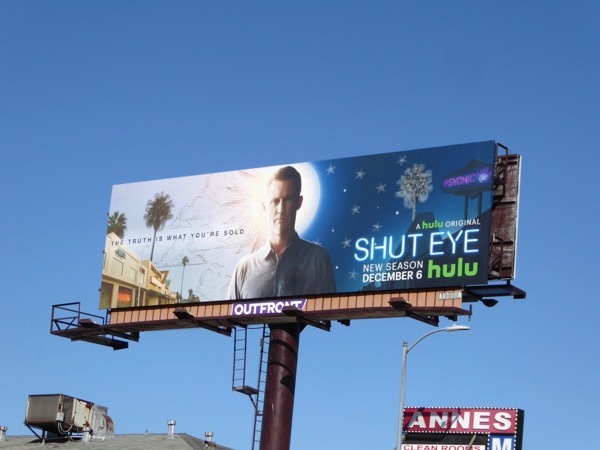 These season two billboards were snapped along La Cienega Boulevard and the Sunset Strip on December 5, 2017. 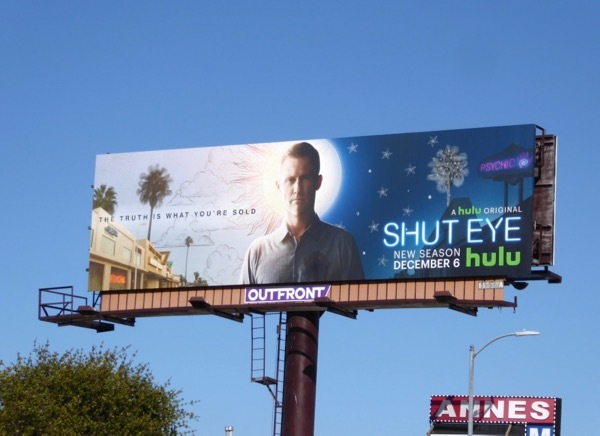 Fans of the Hulu show can also enjoy these series launch and awards consideration billboards for Shut Eye, and for more Romani-themed shows be sure to check out this billboard for American Gypsies. Magic, mysteries and the criminal underworld, there's always more to people than first meets the eye.